There are no set visiting hours at Covenant Health’s Edmonton General Continuing Care Centre Mel Miller Hospice. The hospice is home to 26 residents at end-of-life, and families and friends are encouraged to visit any time and to stay as long as they like. For residents and their families, the Mel Miller Hospice is a home away from home. Recognizing this, Covenant Foundation has funded a project to renovate the Mel Miller Hospice (Unit 9Y) to create spaces of warmth and comfort, and to improve the overall aesthetics of the unit for its patients and their families. 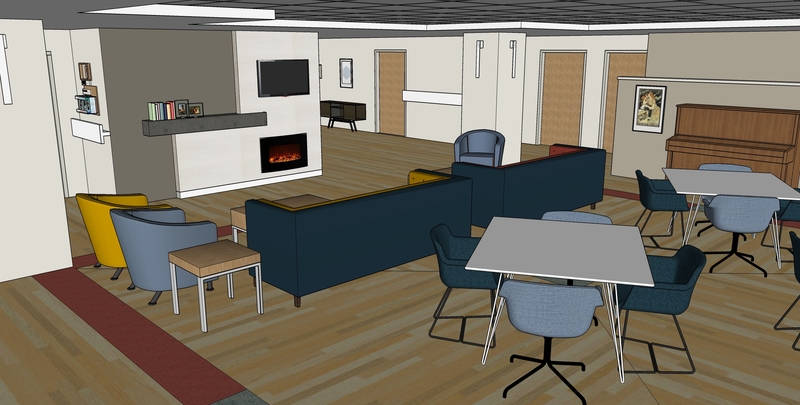 Starting this month, renovations will include updating all 26 patient rooms, the two family lounges and kitchens, and sunroom to provide leading-edge comfort and convenience while maintaining the medical capabilities required to care for patients. Renovations are expected to cost in excess of $800,000. This project would not be possible without the generous support of donors to Covenant Foundation. If you would like to support this renovation or any other Covenant Foundation initiative, please donate online or call 780-342-8126. 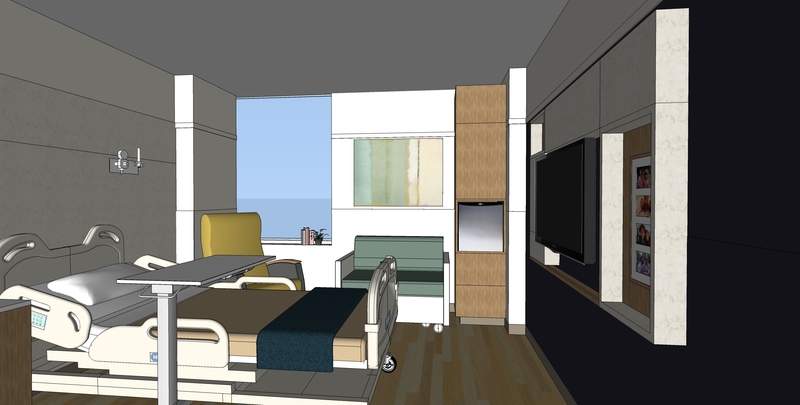 Rendering of a renovated patient room. Courtesy of ACI Architects Inc. Rendering of one of two renovated family lounges. Courtesy of ACI Architects Inc. Final renovated spaces may not be exactly as illustrated.